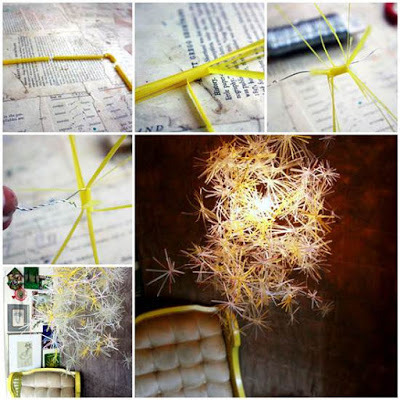 Here is a super cute idea to make a unique chandelier from drinking straws. It’s very simple to make. Basically you just need to cut and twist the drinking straws to make them look like firework sparks and then attach to a chandelier frame made with galvanized wires.